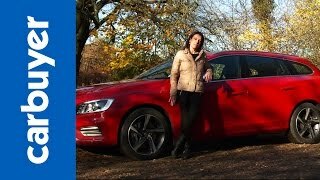 The Volvo V60 Plug-in Hybrid is the world's first diesel plug-in hybrid and is Volvo's most technically advanced model ever - an electric car, hybrid car and muscle-car all rolled into one. At the touch of a button, the driver can choose which of the three cars they want to drive at any given moment. The indicative price of the world's first plug-in hybrid with diesel engine is starting at between £45,000 and £50,000 in the UK, minus any government subsidy for electric cars (Plug-in Car Grant). 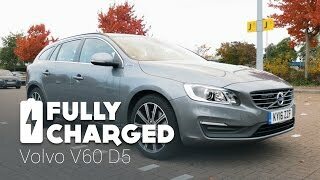 The Volvo V60 Plug-in Hybrid is the world's first diesel plug-in hybrid and is Volvo Car Corporation's most technically advanced model ever - an electric car, hybrid car and muscle-car all rolled into one. At the touch of a button, the driver can choose which of the three cars they want to drive at any given moment. The indicative price of the world's first plug-in hybrid with diesel engine is starting at between £45,000 and £50,000 in the UK, minus any government subsidy for electric cars (Plug-in Car Grant). Sales get under way at the start of 2012 with a limited model year production run of 1,000 cars starting in November 2012. They will be offered with Pure Limited specification, which includes the highest SE Lux trim level. "Our plug-in hybrid has received considerable attention since it was unveiled at the Geneva Motor Show in 2011. Now we're taking the next step by presenting the production model, which is graced with a distinctive profile featuring a spectacular silver colour, an exclusive interior and generous standard equipment," says Stefan Jacoby, President and CEO of Volvo Car Corporation. The production version of the V60 Plug-in Hybrid will be launched in just one colour - Electric Silver. The car is also distinguished by aero-designed 17-inch wheels, integrated exhaust tailpipes and a number of bodywork features in glossy black, such as the grille and the aerodynamic front spoiler. The chromed "Plug-in Hybrid" emblem is found both on the lower part of the tailgate and in a smaller version on the front wings. 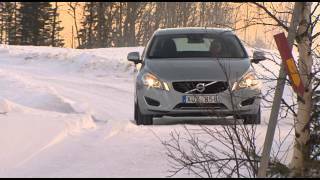 After the initial batch of 1,000 cars for model year 2013, production of the V60 Plug-in Hybrid will increase to 4,000-6,000 cars as of model year 2014. About 30 per cent of total volume will go to Sweden and the other Nordic countries. Germany, Switzerland, Belgium, France, the Netherlands and the UK will have a share of between 5 and 15 per cent each. "We expect the order books to fill very quickly. The most discerning customers have many exclusive cars to choose between. But for anyone who truly wants to be in a league of their own behind the wheel of the most ingenious car in the world, there's only our V60 Plug-in Hybrid," concludes Stefan Jacoby. In addition to other venues, the V60 Plug-in Hybrid will be launched through "electrifying" temporary presence in high profile venues. They will appear in places such as Stockholm, Berlin and London. The idea is that customers should meet the car where they feel most at home. 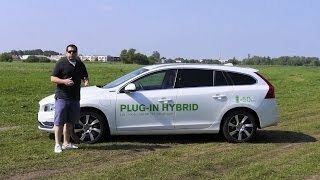 Surveys reveal that the main target group for the V60 Plug-in Hybrid includes customers that are eager to adopt unique new technology. The car is ideal for customers who want superior environmental performance without compromising any of the established qualities in a contemporary luxury car. Volvo Car Corporation expects that 80 per cent of total sales will be in the form of company cars. The interior of the V60 Plug-in Hybrid has black leather upholstery with contrasting stitching and inlays of blue-grey wood. Other distinctive interior details include a leather-covered steering wheel, specially designed floor mats and a gear lever knob with integrated indicator. The list of standard equipment includes features such as speed-dependent power steering, electrically adjustable driver's seat, parking sensors front and rear, Bluetooth phone link and Volvo on Call. Standard specification includes the High Performance Multimedia DVD audio system with its 4x40W amplifier, eight loudspeakers and seven-inch screen. On the car's tailgate there is a D6 badge. The reason is that the combined performance of the five-cylinder turbo diesel and electric motor puts the car firmly within the same horsepower range as the petrol powered T6. The front wheels of the V60 Plug-in Hybrid are powered by a five-cylinder 2.4-litre turbo diesel producing 215 hp and maximum torque is 440 Nm. The car has a six-speed automatic transmission. The rear axle is powered by an electric motor producing 70 horsepower. The electric motor is supplied with power from an 11.2kWh lithium-ion battery pack installed under the floor of the load compartment. The sophisticated and exceptionally compact battery pack consists of 10 modules each containing 20 cells. An integrated computer monitors the system and compares temperature and charge level in each of the 200 cells. The battery pack also has an integrated water-cooling system driven by the car's climate unit. Hybrid is the standard setting whenever the car is started. The diesel engine and electric motor cooperate to ensure optimal balance between driving pleasure and environmental footprint. CO2 emission (NEDC, mixed driving cycle for certification) is just 49g/km and it has a total range of up to 621 miles. In Power mode the technology is optimised to give the car the maximum possible power. The diesel engine and electric motor have a total power output of 215+70 horsepower and maximum torque of 440+200Nm. The electric motor's lightning-quick torque delivery contributes to the car's acceleration from 0 to 62mph in 6.2 seconds. When Save is activated, the on-board system ensures that there is always sufficient charge for driving later in Pure mode. If necessary, the high-tension alternator will charge the battery pack so there is sufficient capacity for driving in Pure mode. The aim is that the Save mode should ensure there is sufficient battery power for about 12.5 miles of driving on electricity alone. 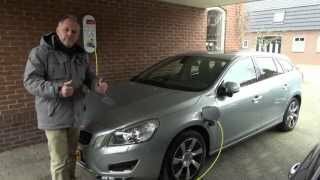 The V60 Plug-in Hybrid can be recharged from a regular power outlet (230V/6A, 10A or 16A) at home or in a car park. Recharging time varies with amperage. A full charge with 10A takes 4.5 hours. This is cut to 3.5 hours with 16A, while a 6A charge takes 7.5 hours. It is also possible while recharging the car to heat or cool the passenger compartment to provide a more comfortable start of your journey. This also means that more battery power is used for actually propelling the car. The pre-conditioning function can also cool the batteries. The ideal operating temperature for the battery pack is 20-30°C. This means that cooling prior to driving is very important in order to maximise battery charge and thus also range. The V60 Plug-in Hybrid has two heating systems. In electric mode the car uses a PTC (Positive Temperature Coefficient) air heater. The car also has a diesel-powered heater. Pressing the AWD button activates the electrical four-wheel drive. Instead of the mechanical power transfer of conventional four-wheel drive, the central control unit distributes power between the diesel-driven front wheels and the electrically-driven rear axle. The electric four-wheel drive system has been designed to provide better grip when starting and when driving on slippery roads, for instance in snow or mud. However, owing to the electric motor's lower power, torque to the rear wheels is limited and four-wheel drive is active up to 75mph. Since electric four-wheel drive is only activated by the driver when necessary, it is more economical than conventional permanent four-wheel drive. A two-stage braking system is yet another smart feature of the Volvo Plug-in Hybrid. When the driver presses the brake pedal, the system starts braking the rear axle's electric motor. This braking energy is then used to recharge the car's battery pack. The mechanical brakes are activated only when the situation requires more braking power than the rear axle can provide. The V60 Plug-in Hybrid is the first Volvo to be launched with an entirely digital Driver Information Monitor (DIM). The conventional analogue gauges have been replaced by a one-piece LED screen offering a large number of display options. The driver can choose which information to show via the car's menu setup. It is also possible to communicate with the car via a mobile app. This gives the owner access to a number of smart functions such as air conditioning, pre-cooling and after-cooling, and a reminder to connect the charge cable if this has not been done by a predetermined time.